If you need a pair of comfortable shoes then this is the sale for you. 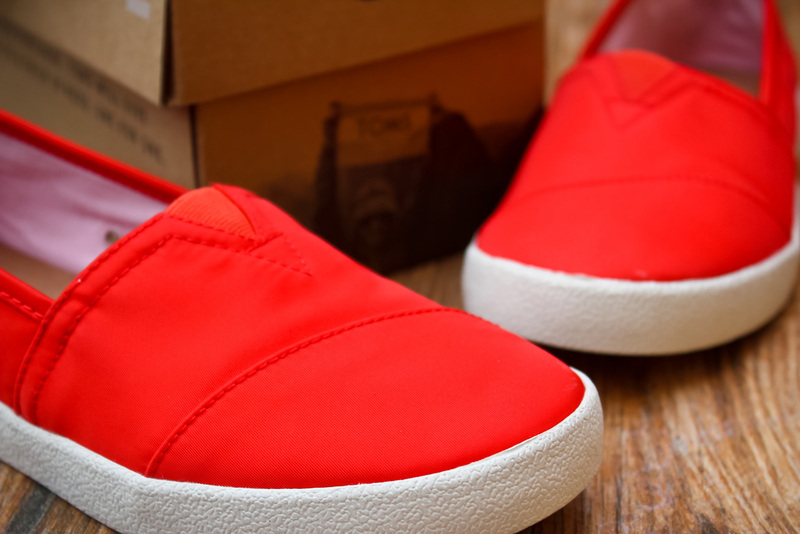 I am a ridiculously big fan of Toms because of the comfort it provides. My first pair has been with me in countless trips and has proven time and time again why it’s my walking shoe. I've had that since 2009 and added my second pair in 2011. Both pairs badly need to be retired soon so I ended 2015 and started 2016 with additions to my collection thanks to the Toms holiday sale. 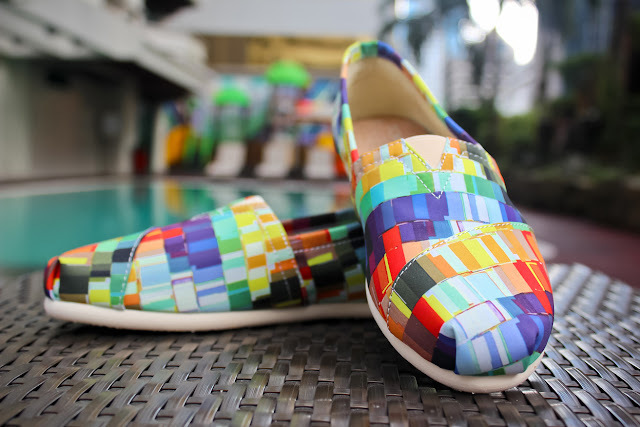 You can avail of the sale at Nothing But H20 and select partners like Shoe Salon. 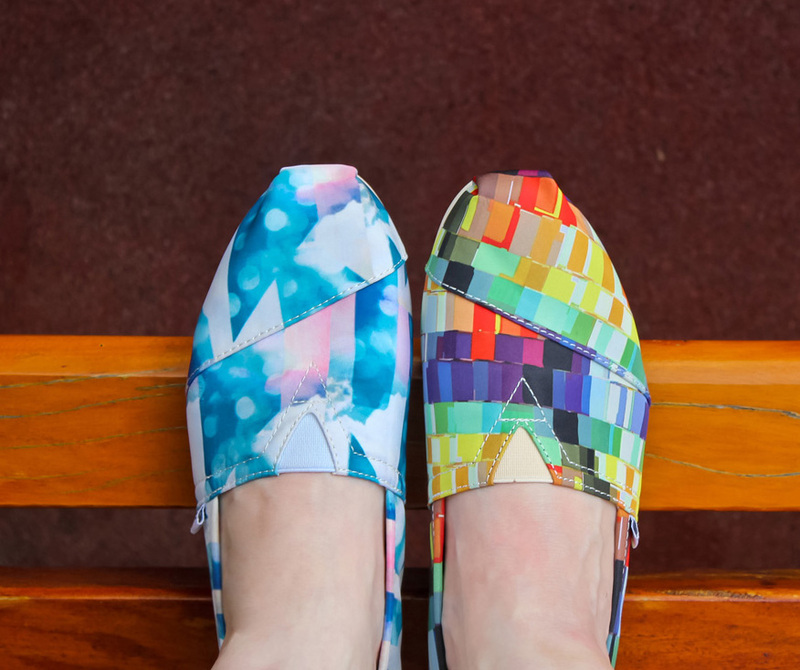 The Avalon is the latest addition to Toms' roster of styles. I've abused this pair since getting them in July. I love that I finally have a pair that I can use when it rains since it's made of nylon. This color and style is on sale! I loved the Avalon so much I needed to have it in another color! The Nylon line is limited to a few colors only. I went through 5 Shoe Salon branches before I found a store with my size. Yes, I'm that kind of fan. I searched for my size of the rainbow-ish print and was only supposed to buy that but I was surprised to see that they had my size in the blue one as well! They were both gorgeous. How can you say no to thaaat? You can’t. Well, you actually can. My parents gifted me with one pair so I ended up just getting the second one for myself. 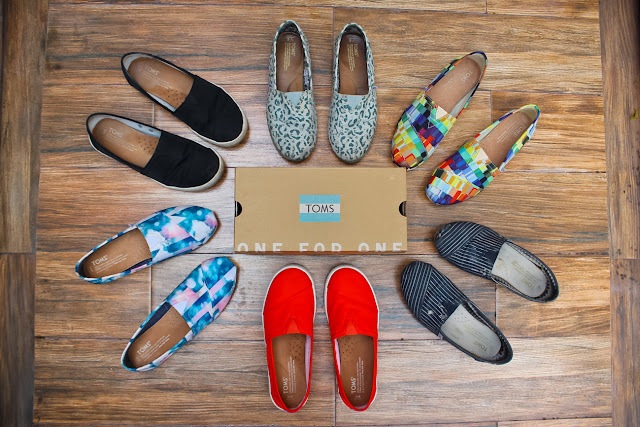 From having just 2 pairs, now my Toms family has ballooned to 6. In my defense, the 2 older pairs are retiring soon. They have served their purpose. I can’t wait to take these new babies with me on my next adventure. So go and hoard because prices are slashed as much as 50% on select styles. 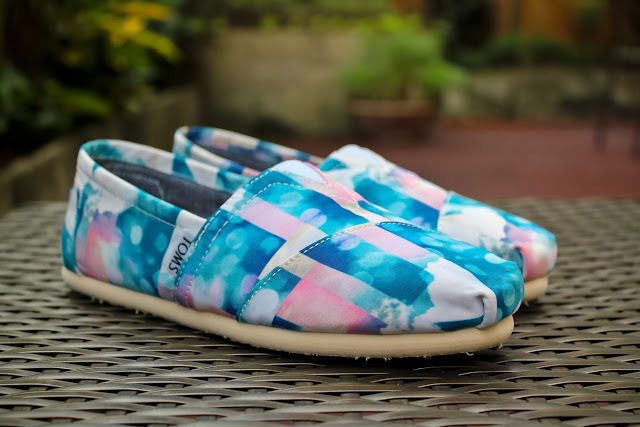 Rush to the nearest Nothing But H20 or Shoe Salon store to score a pair (or three) of these comfy shoes. Visit the Nothing But H20 and Shoe Salon sites for the list of branches. Ultramega fan girl, signing out!